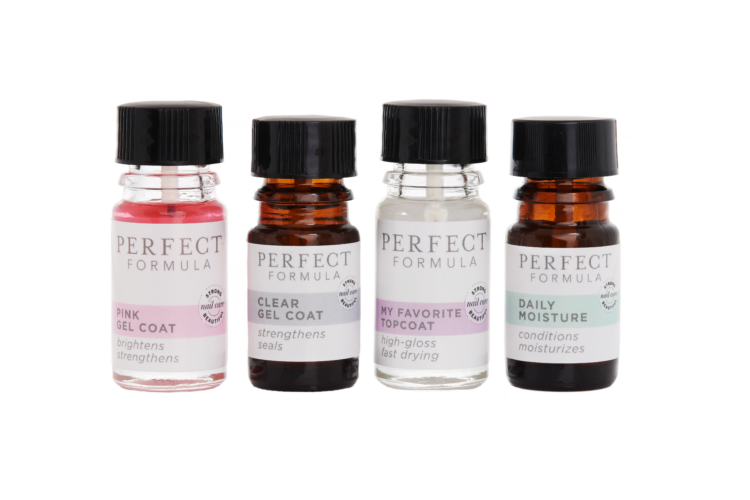 We created this nail set because we believe the foundation for strong nails is healthy cuticles. 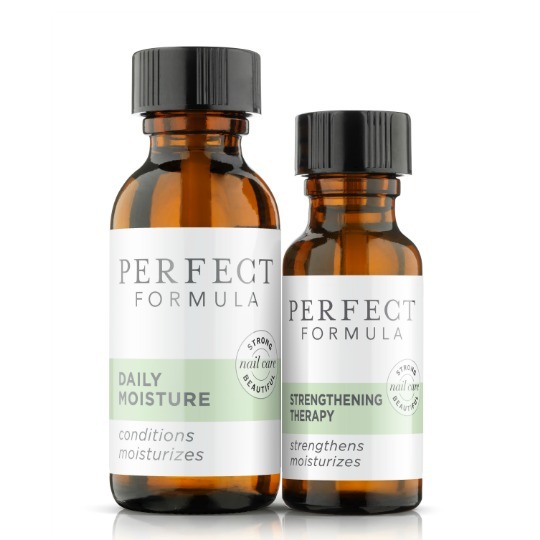 This collection includes two of Perfect Formula’s best items to ensure healthy cuticles and nails. 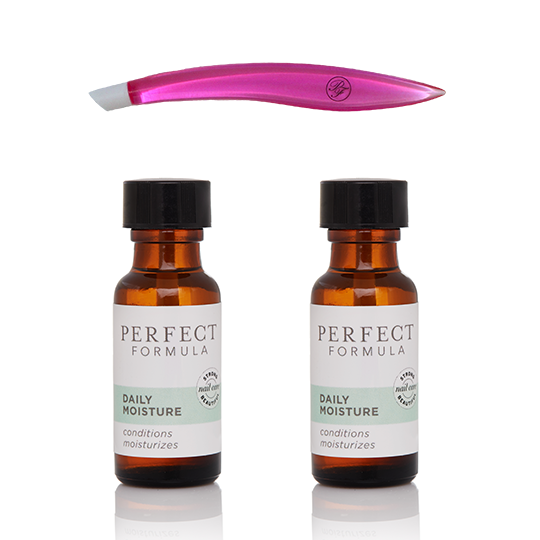 Daily Moisture helps maintain moisture balance in the cuticles and nails; and when followed by using the Cuticle Pusher, supports healthy, strong nails. Start by applying Daily Moisture on nails and cuticles, and follow by using the rubber tip of the Cuticle Pusher to gently push back cuticles.